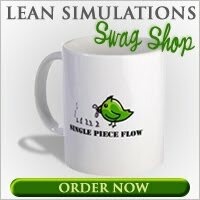 Lean Simulations: Incentives are bad. The Candle Problem with a twist! Incentives are bad. The Candle Problem with a twist! You're locked in a room with only a candle, a box of thumb tacks and a matchbook. Task: Attach the candle to the wall. That's it! A simple thought experiment. Great for getting the problem solving juices flowing. Sure, it's no lean game, but it doesn't take long and there's fire involved, so it's a winner in my book. Duncker's Candle Problem has been around since 1945. Developed by psychologist Karl Duncker, it was meant to measure the influence of functional fixedness on problem solving ability. This is a fancy way of saying that people need to set aside their biases of using an object the way it's traditionally used. James at www.everlearn.co.uk commented in my "Introduce Yourself" post and I followed his link back to this game, called "Strike a Light." He put together a small .pdf describing the candle game and how to run it, including several helpful discussion points. In addition to getting his team to think outside the box, he also discusses the addition of incentives and how this influences the outcome. Hint: it has a negative impact on creativity. I'm not generally interested in psychology, but I found this little experiment interesting. In particular, the psychology of motivation is relevant to lean and other change agents, since we are all trying to motivate teams. Motivation and incentives need to be properly understood when setting up Employee Suggestion Programs. James also links to an interesting TED talk by Dan Pink on motivation which, like most TED talks, is well worth watching. So what's the solution to Duncker's Candle Problem? Don't light the candle! Ignore the matches completely. Just use the tacks to stick the box to the wall and put the candle in it. Find the all the details at http://www.everlearn.co.uk under Resources. And what's the answer to employee motivation? Do external incentives really block creativity? You tell me. What do you think about incentives? Good, bad, ugly? Do you have an employee suggestion program? How is it set up?